In response to Apple’s FDA approved ECG reader, AliveCor is soon launching its ElectroCardiogram monitor. AliveCor’s version of the ECG reader will feature a one of its kind 6-lead peripheral, after getting approved by the Food and Drug Administration. Typically ECG readers have 1 or 2 leads, Apple’s invention will have just 1, which will be attached to the patient’s wrist, to monitor their pulse. In a clinical setting, however, a patient gets hooked up to 12 leads or stickers to monitor their vital signs and pick up data from their heart. Technically speaking, AliveCor’s version should be more accurate as more leads will be theoretically more accurate. The reason is that there will be more leads to picking up data that can be used to save lives potentially. Both AliveCor and Apple’s ECG reader will work similarly. They both will pick up Atrial Fibrillation(irregular heartbeat) also known as AFib. There was a definite need to detect this heart condition as at least 2.7 million Americans suffer from AFib. AFib results in poor health outcomes such as strokes, heart failure, blood clots among other cardiovascular diseases. 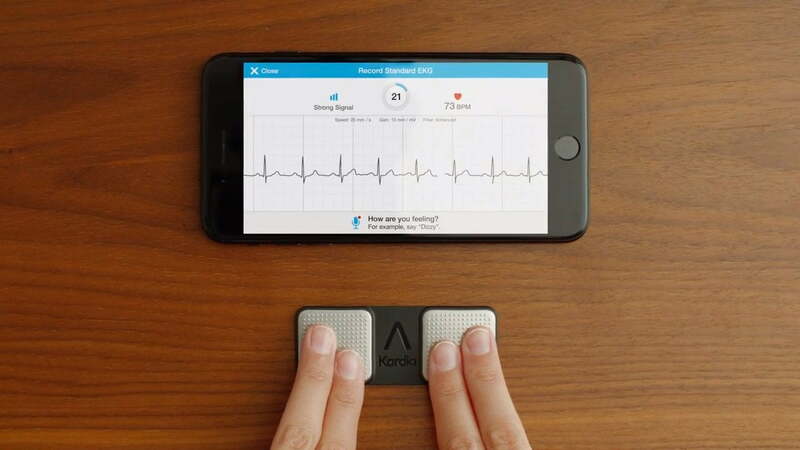 Earlier in September, AliveCor announced that their ECG readers would be able to detect a rare blood condition called hyperkalemia, after getting approval from the FDA. Hyperkalemia causes high potassium levels in the blood and can be lethal. According to AliveCor’s CEO Vic Gundotra, their device will be able to diagnose 100 different medical conditions. One of the critical parameters is ST elevation. ST elevation is one of the primary indicators of a heart attack. ST elevation can save many lives, as it calls for an immediate response, and the person rushed to a hospital can be taken care of immediately, even before other signs and symptoms appear. What stands in the way of AliveCor’s success, ultimately, is Apple. Since there is no stopping Apple from coming up with their own six lead ECG reader, AliveCor seems to be in a heap of trouble. Moreover, since Apple is a tech giant dominating the technology landscape for nearly over three decades, there is no stopping Apple from coming up with their version of a six lead ECG reader. Despite having all these cards stacked against AliveCor, Gundotra seems unphased. Gundotra stated that they (AliveCor) have some pretty solid patents and that this competition with Apple has been nothing short of healthy, as it has brought some much-needed publicity to the company. No official name for the product has been announced as of yet. AliveCor is working tirelessly with the FDA to get their product approved for a 2019 release for over-the-counter consumers. Their biggest challenge will be to break somehow Apple’s stronghold over the wearables market, which they dominate 17 percent of.